How many security cameras do I need for my house? How much do those security cameras cost to install? Simple but significant questions before you head to buy security or surveillance video cameras, no matter if you are a homeowner, renter/tenant, or small business owner. So how many security cameras do you need? 2? 5? 10 or more? No one can tell it accurately because it depends on where you need to install the cameras, why you need the video cameras and which type of security cams you buy. Below are the detailed insights to look into this matter. Read them and you can figure out how many security cameras you need for your home or business. Tip: Security cameras are also called surveillance cameras, surveillance video cameras or CCTV cameras. You wouldn’t need to install security cameras at all those places, but a list is the first step to know exactly how many security camera you need for your home security. Do as the same if you are a business owner and if you are planning to install security cameras in your work places, such as your retail store, your workshop, the office room, etc. 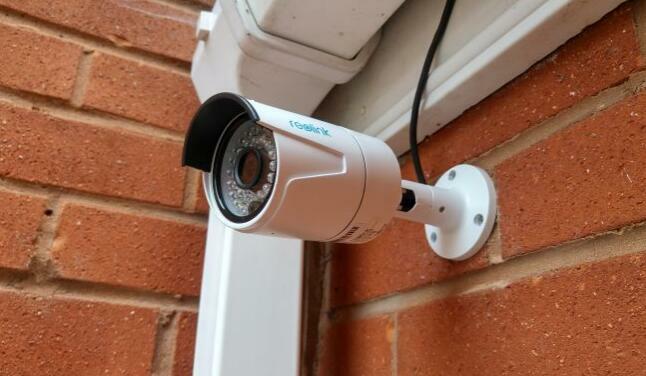 The reasons to install a security camera could be varied, and that would be an influencing factor to how many surveillance video cameras you need to install, because the more important the protected things are, the more and higher quality security cameras you would need. #1. As a deterrent. The first and the most important reason to install security cameras is to protect your home or business from burglary, theft, break-ins and invasions. Therefore, you need to put more and higher quality security cameras around what needs protecting, and let all know that what belongs to you is 24/7 well protected. That is, you need to put security cameras outside your house, especially in the most obvious areas where people can easily see the surveillance cameras, like in the front door, the back door, etc. #2. For evidence. Another important feature for security camera systems is to capture and save videos for events. If there is a suspicious event or if a thief breaks into your house, a recording will be stored and you can play back it to see what was happening and who it was. Therefore, it requires you to put high quality security cameras around the important areas where your valuables would be targets for burglars. #3. For live streaming. Nowadays most security cameras can be remotely controlled and accessed on mobile phones or computers. You can see live streaming or footage on your smart phone wherever you are and whenever it is. This will help you stay connected and informed with your home or business. Therefore, both outdoor security cameras and indoor security cameras are needed. #4. For alerts. Most importantly, the cameras will send you alerts in real time if they detect a movement in the surveillance areas, so that you will know timely if the areas are safe and secure. The feature is called motion detection in security cameras. Most people prefer to install the security cameras in front of doors. There are other features of the security cameras as to the subject of why you need home security cameras and why your business needs video surveillance. Clarify for what you need the security cameras, and that is the second step for figuring out the number of security cameras that you need to buy. The relation between the number of security cameras you need and the types of the cameras is obvious. 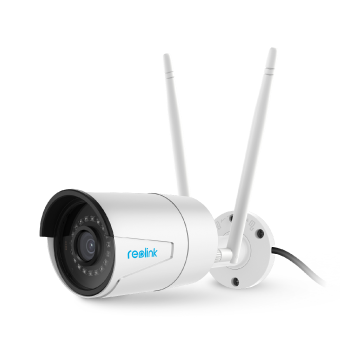 There are several types of security cameras from different perspectives – wired and wireless, 1440p super HD security cameras vs 1080p or 720p, conventional vs infrared, different degrees viewing angles. More people prefer a wireless security camera, because it is more convenient, cheaper and much easier to install (you would hate messy wiring around your house too). Try to buy those that have dual-mode WiFi (2.4GHz band and 5.8GHz band available), and that will ensure much stronger network signals. You can mount and install the wireless security cameras outside your house, like in front of the doors to capture live foot around your house. Plug in and Go! 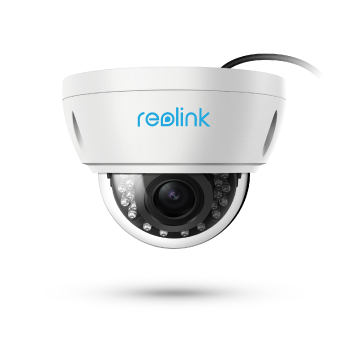 The World’s First Dual-Band WiFi 5MP/4MP Security Cameras; No Messy Cabling; Waterproof; Remote Access. 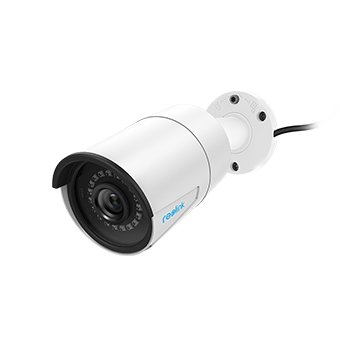 Wired security cameras nowadays are displaced by PoE security cameras, which transmit videos and power via just one network cable. You won’t have problems of network offline or no WiFi signals. We’ve discussed the resolutions in the post 1440p Security Camera VS 1080p Security Camera VS 720p Security Camera. In fact, it’s recommended to pick 1440p security cameras as the outdoor cameras. You can install those super HD security cameras outside your house to monitor and surveil your front door, back door, the front garden, the back yard, etc. Those 1440p security cameras are much better than 1080p and 720p cameras, because the former can capture clearer images with details, such as the faces of humans, the car license plate number, etc. Many burglars take actions during nights. And you should buy night vision security cameras with IR (infrared), which can 24-hour deter break-ins and trigger motion detection alerts in real time. Those security cameras with high quality night vision should be installed outside the house and inside too. Some fixed security cameras comes with 80 degrees viewing angle (or a little wider), while others come with 180 degrees or 360 degrees viewing angle, which are called panoramic security cameras (or panoramic fisheye security cameras if with a fisheye camera lens). If you choose the panoramic type, then you may just need one outside your house, instead of several ones. There are also alternatives of the 360-degree panoramic video security cameras, which might be more cost effective. Keep it in mind that many 180 or 360 degrees panoramic video surveillance cameras could not be 1440p HD, and could not do facial recognitions or car license plate number recognitions with details. Never forget the NVR, which is a basic part for a full security camera system. A NVR enables all the cameras for 24/7 reliable recording. Since we’ve discussed the 24/7 security system in the post How to Choose a 24/7 Security Camera System, you can see more insights in it. List all the places where you need security cameras, determine if it’s so important to place the security cameras around some areas, and decide which types of security cameras you’re gonna buy. You will definitely figure out “how many security cameras do I need for home security or for business surveillance”. Go to buy security cameras with high quality, long term warranty and one-on-one support. 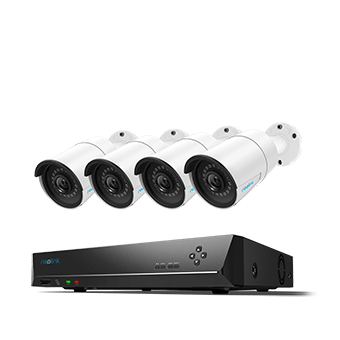 I have a security NVR video system with 8 cameras for my house. 2 super HD 1440p security cameras in front door outside the house, 1 for the back door, 2 in the first floor, 1 for the stairs, 1 in the second floor and 1 for the garage. How many surveillance cameras in the world, or in the US, the UK, Australia, Canada or where else? According to the HIS, there were 245 million video surveillance cameras active and operational globally in 2014. Till 2016, there are much more video surveillance cameras around the world. It’s a surveillance society and try those high-tech cameras to 24/7 protect your home and business. This entry was posted in Home Security FAQs and tagged Business Security, home security.